MUSIC. The connection to the word might not be so apparent in this illustration, which I did for the cover of my friend’s zine on dreamwork and dream stories. 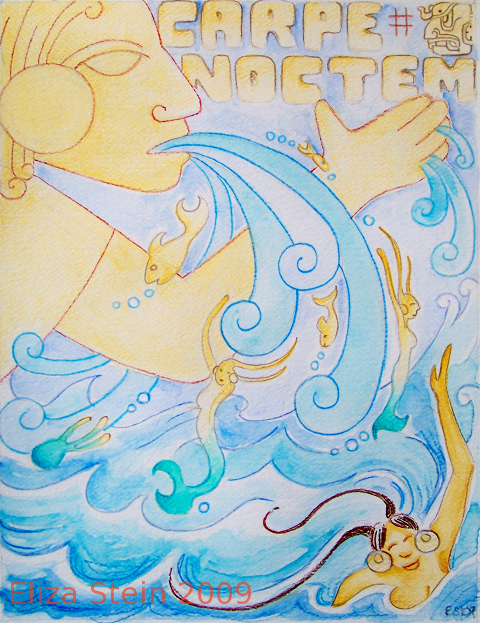 The main story was a dream about a Mayan/Precolumbian goddess who sang mermaids and other sea creatures into existence. I wish it was my dream! It’s hard to draw something unbalanced when you’ve been feeling that way all week. 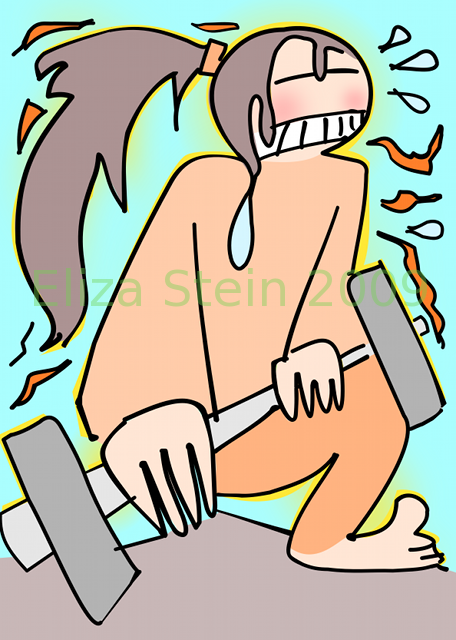 Luckily, I had this quick sketch I drew a couple months ago, while watching my friend Mephy lift weights. This is only how she looked from my perspective, sitting on the floor. Trust me, she has excellent form. And this barbell weighed over 200 lbs! I traced over the sketch in Inkscape and added color there too. First of all, there are much worse infestations to have in your kitchen. In fact, I would be thrilled to have a chameleon as a pet just because they are so adorable. They’re so cute, chubby, and non-threatening, they’re like the panda bear of lizards. But with their ability to blur themselves into any surrounding color or pattern, I’m sure they would get lost easily. This is still a work-in-progress. I drew the chameleons in pencil (see below), took photographs of my kitchen sink and assorted textures, and started assembling it all in GIMP. At first I was going to put them in my fridge but then I remembered they are cold-blooded and thought better of it.